The UK government plans to take the “moral high ground” by allowing millions of EU citizens in Britain to remain after Brexit, leaked cabinet papers have revealed. "The Home Office plans to make an offer to existing EU residents that they can remain in the UK in a 'no deal' scenario, in effect unilaterally implementing the [immigration element of the] Citizens' Rights agreement agreed with the EU in December 2017,” the paper reads. The leaked document also stipulates that the move is unilateral and would not be reversed if the EU doesn’t follow suit. "Making an offer is not only important to provide certainty publicly, but will enable the UK government to take the moral high ground,” the paper explains. With almost four million EU citizens living in the UK, the revelation will come as a relief, as Brexit risked forcing them to return to their home country or having to resettle in another EU member state. 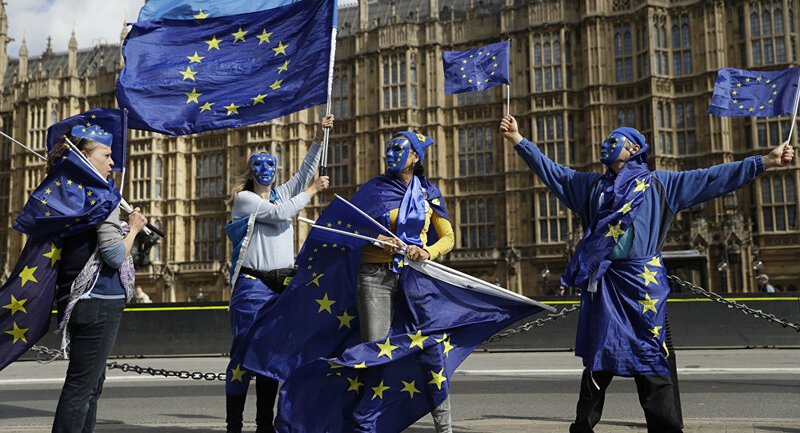 The UK was expected to use the matter as a bargaining chip to leverage a favorable Brexit deal, especially as the EU looks set to not back down from its negotiating position, despite many politicians calling on Brussels to avert a hard Brexit. However, although the government is claiming the move is a show of goodwill, it will also serve the interests of some sectors of the UK economy, as labor shortages were expected under a deal resulting in the removal of EU citizens from Britain. Further details will be released by the government on Thursday, as it begins publishing a series of “technical notes” to help businesses and consumers prepare for a no-deal Brexit, which is looking increasingly likely.